Is it hot in the desert? I had to laugh. 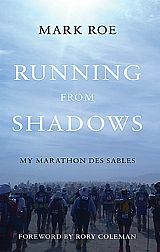 The 30th edition of the Marathon des Sables finished yesterday and with it Sir Ranulph Fiennes’ successful completion to become the oldest Brit at 71 years of age to finish this gruelling race. So what was so funny? His coach, Rory Coleman, had been reported earlier in the week talking about the 50C degree heat and how it was affecting Sir Ran’s health . . . one publication’s website article then had a couple of muppets commenting this was “journalistic exaggeration” or some such nonsense, because they’d checked the online weather and saw the temperature was only in the high 20Cs in that part of Morocco . . . without recognising that the easily-available online weather is reporting the temperature several hours away in small towns or cities nowhere near the Moroccan Sahara. Clearly comments from those who have never been there. With apologies to Kipling . . . If you can feel the heat of sun-baked sand dunes warming through the soles of your shoes, if you instinctively pull your hands off those scorching sand dunes when you fall on to them because your leg muscles are too shot to climb them, if you learn quickly the lesson of closing your mouth over your water bottle when you take a drink because if you don’t the water quickly evaporates out of your mouth, and you then finish the day in the medical tent on an IV drip . . . then you are not in an environment with temperatures in the high 20Cs (my son). I experienced all of these in 2012, with various competitors around me reporting 50C-plus on their GPS watches. As they do year after year. So I had to laugh at those completely misinformed comments. Sir Ran reflects on his latest achievement here when he speaks of the MdS being “more hellish then hell”. So if you’re running the MdS next year, and I know some of my readers are, do not be taken in by temperature readings from Moroccan cities hundreds of miles away. IT WILL BE HOT IN THE MOROCCAN SAHARA LIKE YOU’VE NEVER KNOWN IT! Fortunately there were no such temperatures on yesterday’s Calderdale Hike 26 (that’s always a certainty when running in Britain). It was so tempting to bin it though when I woke up early to hear the rain beating the window, but I did manage to reach the start line with time to spare. This was a slightly different format of the LDWA Challenge event style (which are open to runners as well as walkers): for this particular event there is no detailed set of route instructions spread across three sides of A4 paper . . . just Ordnance Survey grid references for the 11 checkpoint locations at which I would have to get my tally card clipped before finishing. So Windy Hill (appropriately named, as I would find out) was at 982141, which will mean nothing unless you have the appropriate OS map with you! Aside from the need to check in at those 11 locations, it was up to you how you got there. So also fortunate was the fact that on Friday night I spent a very worthwhile hour marking up my laminated OS map with my trusty Sharpie highlighter pen (which doesn’t run in wet weather or unfortunate stream accidents) to get me from one checkpoint to the other. This would later prove very useful. The start was interesting: without any formal route the field immediately broke into two groups as it left the Sowerby Cricket Club. One group, the larger, headed right, the other headed left. Which to follow in the excitement of the start? The contrarian in me gained the upper hand so I went with the smaller group. There was no way of knowing who though was doing which route: as well as the 26 mile challenge there was the 36 mile option, one I declined (26 miles plus an advertised 4,000 foot of ascent was plenty enough for me). So it was an event where attention to the map and surrounding topography was paramount as the frequency of available footpaths increased as we headed west towards the Pennine Way. Recognising by checkpoint 1 that so much map reading would be needed I was mentally dug in for a long day, particularly when taking into account the winds of any exposed area making running at any speed tough, and the hills! After 2 hours I’d covered a disappointing 9 miles and had already gone through battering winds, light rain, heavy rain, sleet, hailstones, bright sunshine . . . and seemingly endless stiff ascents . . . and a fair bit of slippery mud. Heading out to start on the Pennine Way section became a continuous battle against the wind. I have to admit there were a couple of occasions early on where it was tempting to turn back and head for the warmth of my bed. But with a positivity-focus and, noting I was too hot, removing my woolly hat and Montane Minimus jacket (one of the most efficient weather-proof jackets on the market, I’ve found) the outlook improved as a warm sun appeared for a couple of minutes, until the hailstones returned and so it was back on with the hat and jacket. I was too cold. Heading for the Windy Hill (you’re not kidding!) checkpoint at 10 miles meant traversing a crossing of the M62 motorway over an elevated footbridge, which seemed perfectly safe, and forms part of the 270 mile Pennine Way long-distance footpath. At this point it is Britain’s highest motorway at 1,221 feet (372m) above sea level. Coming towards me over the footbridge at a fair pace I saw one cheery woman who was blown quite easily from the right to the left-hand side of the bridge with the forceful winds gathering pace: she trotted less quickly and less cheerily after that, hugging closely the handrail of the footbridge. That seemed like a very good idea. After a handful of sweets and replenishing my water bottle at Windy Hill it was then a gruelling run and (mostly) walk north along the Pennine Way to the 18 mile checkpoint: the north-westerly wind was now at its height and taking out of me a lot of energy and warmth across this section. Eventually and far down below me I could see where I needed to be at the 18 mile point: a village with the Lumbutt’s Church checkpoint. The question was how to get to it. I’d managed to convince a couple of other runners that we needed to continue across the Langfield Edge for a path before heading west, but I was wrong. I’d already galloped ahead before realising my mistake and instead took a more treacherous descent across a boggy plateau interspersed with knee-high grassy tufts. Those other runners had taken an earlier more sensible decision! I caught up with them at the checkpoint, my ankles twisted beyond normality, and ribbed each other about taking “the more scenic route”. From here the winds finally and abruptly died off. After 18 miles of that invisible challenge I could now look forward to another 8 with the wind largely behind me. I got a little lost then joined up with a new group of also slightly-lost runners for a long descent to a B-road at which my heart sank: crossing this road and up the other side was a steep, steep, climb back up to pretty much the same height as we’d just spent over 10 minutes descending! I was by now in that end-of-a-marathon fug: lack of energy, dehydrated, sugar-low, shot legs. I was keeping up with one of the slightly-lost runners (the other two had disappeared) but he took a turn up ahead I wasn’t so sure about so I ploughed on, aiming for the penultimate checkpoint, Nab End Quarries at 23 miles. But where was it?! I was stood at the open gate of a remote, run-down farm house with security cameras (two of which were on the telegraph pole above me) and warning signs of savage Rottweilers (you know the ones: a picture of a bared-teeth Rotty with foam in the mouth). Best not go any further forward, I thought. I spotted the name of the farm and fortunately found it on my map before a new group of three equally-lost runners appeared who were also wondering where the heck Nab End Quarries was. Over the brow of a hill and ahead . . . a large and wide rock structure with a concave shape in the middle of it. I pointed with an outstretched arm: “Quarry?”, I grunted. We agreed this looked likely as it was the only significant rock structure in sight, but before we could get to it was half a mile of those knee-high grassy tufts and surrounding bog. It was a choice of facing that or trying to retrace our steps to the Rottweilers that would certainly tear us limb from limb. So on we trudged. There was no gap, stile or footholds in the 5 foot high slate wall we reached but, sure enough, on the other side of it, was the track the map was telling us would take us to the checkpoint . . . somewhere. Chaps will imagine the discomfort that can be experienced trying to scale a smooth-sided 5 foot slate wall, one of those where the neat square slates sit neatly along the top at a 45-degree angle . . . But it got us to the Nab End Quarries checkpoint. From here it was a straightforward enjoyable descent down to race HQ and with the reintroduction of some flat, hard road I could pick up some good running pace to finalise finish, absolutely exhausted. This is possibly one of the top 2 or 3 hardest marathons I’ve done which is recognised in the very slow time of 6 hours, 33 minutes (the winner’s time was, I’m told, 4 hours, 31 minutes, over half an hour slower than the 2014 winner’s time). The weather won’t have helped: my GPS tells me it was 3C degrees overall but feeling like -3C with the high winds (so that’s why my hands were going blue!). And the 3,635 feet (1,108 metres) of ascent won’t have helped either when you consider the UK’s highest mountain sits at 4,409 feet (1,344 metres). That’s, er, shall we say “unusual” for a marathon course. My GPS also tells me I was stood still for 25 minutes trying to become un-lost and the actual distance covered was 26.7 miles, not the advertised 26 . . . but that’s the law of off-road event distances! With three hard off-road marathons in succession I could now quite fancy a flat road marathon course not having to carry any kit where I can zone out with my iPod. The hunt is on . . . Categories: LDWA, marathon, Marathon des Sables, off road, Rory Coleman, Sir Ranulph Fiennes | Permalink.